London’s artists are on the move again. Having been spat out of Hackney due to flabbergasting rent rises, a good few of them have settled a bit further north in a part of town that vulgar people have started calling Awesomestow. 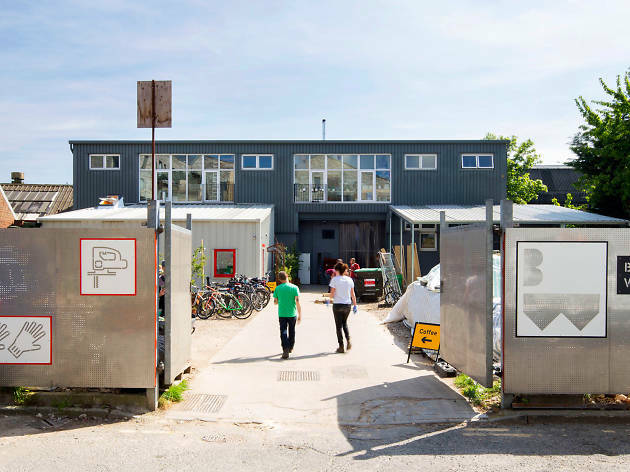 Tucked ever so slightly off E17’s more well-known stretches, Blackhorse Lane (and its continuation, Blackhorse Road) is a semi-industrial stretch that’s now home to lots of small workshops and studios, making anything from kitchen units to jeans. It’s on the edge of the Walthamstow wetlands, allowing you to go from urban jungle to ‘down on the bayou’ in a matter of minutes. It even has a Victoria line station. But despite all these upsides, property prices are still reasonable (by London standards at least). Niche businesses and community spaces are holding out, and with various new-builds mixed in with the older buildings, this is one of the last semi-affordable places where young families and first-time buyers can hop on the E17 ladder. And with these newcomers a series of sweet new eating and drinking spots has arrived to wet your whistle and tickle your palate. Like any burgeoning neighbourhood, it takes time to suss Blackhorse Lane out – so here’s a bit of a head-start. Off you trot to discover the mane attractions. The Breakfast Stack at Wood Street Coffee. Packing an Aussie punch (their chef comes from the Land Down Under), it’s sure to kill any hangover or kickstart your morning. The coffee is pretty ace too. A late-night kebab at Yasar’s. All self-respecting Londoners have a favourite kebab haunt, and this places serves a Turkish feast fit for a sultan. A taste of Wildcard Brewery beer straight from the tanks at its new tap bar and production site. It’s running events too, like a classic car boot sale and vegan market. Wine on tap from Forest Wines on Forest Road. This wine and craft beer shop is the perfect place to pick up a cheeky mid-week bottle, with the tap selection constantly changing. A pint of real ale at The Warrant Officer, a quick stroll away on Higham Hill Road: it’s a proper boozer with occasional live music and Sunday roasts. Cycle or walk the local paths at the Walthamstow Reservoirs, which are traffic-free and full of wildlife. Check out an exhibition or talk from an emerging or established artist at the Barbican Arts Group Trust artists’ studios. 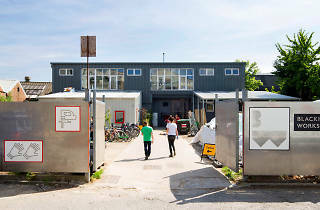 Take part in a BollyFusion dance workout at Gnome House, a community-run creative space. Learn the basics of printmaking at Inky Cuttlefish Studios. Have a look in on the Blackhorse Sideshow. This pop-up, which is running until December, will host workshops, exhibitions and a giant marble run built from salvaged London bus components. ‘Daredevil (Vol 1)’ from Krypton Komics – or have a browse through the rest of this geek palace’s 250,000-plus graphic novels. Delicious raw honey from The Local Honey Man, a local beekeeper who sells actual bees too. A pair of handmade jeans from Blackhorse Lane Ateliers: the ultimate in #shoplocal attire. Take a class at Blackhorse Workshop. This fully equipped wood and metal workshop can teach you how to weld, woodturn and more. You might just end up making that career change. By Natalia Ribbe-Szrok, who quite fancies riding a black horse through E17. Head-over-heels for Walthamstow? Check out what’s up on Hoe Street and Orford Road – or discover more of London’s best streets.